Arthur Adlen is evocative of a life well lived, well loved; well fought. A few definitions of key words in the title of the book will help set the scene. Memoirs equate to a collection of reminiscences about a period or series of events written from a personal perspective. Breck Road is a main thoroughfare through a rundown and often castigated suburb outside the city centre of Liverpool, where life was and still is hard, but where the sense of belonging is alive and well. A Buck is a robust spirited young man. Put those three together and the ground is set for what to expect, a collection of verse that captures the imagination while captivating the reader in equal measure. In 1947, just after the Second World War, the poet becomes more than just a twinkle in his dad’s eye ‘… the city lights reflecting in their eyes open wide/ it was Spring in Dublin where I was made.’ That’s how this autobiographical journey springs into life as a recollection of Mum and Dad, family ties, territorial childhood mates and games, holidays, jobs (or not), marriage, kids and approaching old age. Also a political and philosophical coming to terms with the struggle of working class existence and the fight, never shirked, to an respected place in the sun. Release from tough times came in the form of the fresh sea air of family holidays in Wales. Below Talacre’s Hill is redolent of happy days ‘ … before the fall, when I was young’, and when back home all is summarized in the title poem of the volume ‘… Things we got up to drove our mothers to distraction,/ skipping leggers on lorries hanging on for dear life,/ belly banding across back yard walls,/ and raid bombed out buildings for bonfire wood’. Youth left behind it was out into the big bad world . Ode To Winter describes long hard days on a building site: ‘… here are men who summer like Olympian Gods/ fallen to earth, victims of some elemental curse/ they scrape the hoarfrost from the handles of their hods/ and pray the weather doesn’t get much worse.’ A tough existence that hones the motivation and intellect, philosophical as much as anything else, to fight for something more just, for everyone. Getting Fucked About is a venting of spleen against an uncaring system; The Revolution Will Be Televised, an attack on a society that cannot see the wood for the trees. And so to marriage and a new life in the promised land of ‘Skjalmarsdale’. Jerusalem Phase 2 tells it differently. 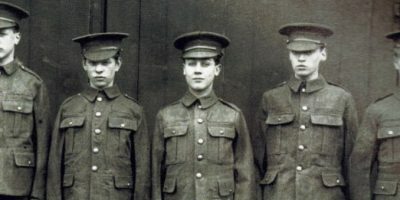 The poet rails ‘…I will not keep from mental fit/ nor shall my dole stay in my hand/ till we’ve rebuilt Jerusalem/ in Skelmersdale’s unpleasant land’. A hard but never wasted life then as a loving partner and parent, welder by trade and political activist never kowtowing to the system, he could walk tall amongst his family, friends and comrades and still does. He deserves this publication as a reminder of all that but he is not finished yet. In Portrait Of An Artist As An Older Man he juxtaposes the key qualities that have driven him on; ‘ …professional revolutionary, community worker … Ex-Catholic, ex-Communist, born again Evertonian’. The last poem, At A Stroke, charts another chapter as he now travels ‘ … a slower road than the one I ran/ even as an aging man … I have to learn to bend/ this is just the beginning, nowhere near the end’. 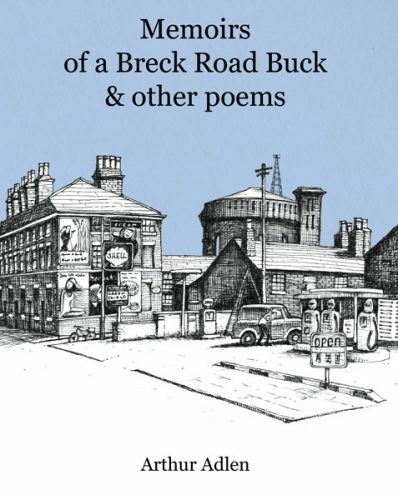 Memoirs of a Breck Road Buck & other poems will be on sale at News from Nowhere on Bold Street. Tres Bien Joe covered well sad news regarding his demise a life well lived and a bukaroo banzai on his greatest adventure in the 5th dimension. Previous Post: Fire Service still at risk!